Two incumbent Flossmoor trustees are ahead in the still-undecided village board election, according to unofficial results from the Cook County Clerk’s office. Write-in candidates Michelle Svetic Nelson and David Bruni are trailing the incumbents, Perry Hoag and James Mitros, according to tentative results released by the clerk’s office on April 17. The Flossmoor Village Board on Feb. 18 approved a resolution updating the village’s proposal for Cook County’s No Cash Bid program requesting ownership of six parcels of tax-delinquent property. The village is working with attorney Scott Dillner to acquire the roughly 7-acre area of land between Governors Highway and Kedzie Avenue. The property is adjacent to the Center for Dental Excellence and Sunrise Senior Living. Kim Foxx loves living in Flossmoor. Foxx, Cook County’s State’s Attorney, says her house, and her neighborhood, provide a respite from workdays filled with a constant litany of violent behavior and the pain that it brings. Flossmoor’s local election board this week will consider objections to the petitions submitted by a resident seeking a village trustee seat. Two incumbent trustees, Perry Hoag and James Mitros, filed objections to the candidate petitions filed by David Bruni. Hoag and Mitros are running for another term in the April 2 consolidated election. 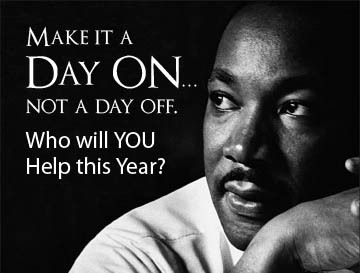 With additional sponsors and events, Flossmoor’s nationally recognized MLK Day of Service returns for a fifth year on Jan. 21 and will provide even more opportunities for local volunteers to give back to the community. The Village of Flossmoor is looking to turn six parcels of vacant land between Governors Highway and Kedzie Avenue into commercial developments by participating in Cook County’s No Cash Bid Program. Flossmoor residents are another step closer to being able to move their pickup trucks from their garages to their driveways as a decades-old ban is set to go before the village’s plan commission. The Flossmoor village board Monday unanimously voted to put the zoning ordinance amendment up for a public hearing during the Dec. 20 plan commission meeting. The board will make the final decision after receiving the commission’s recommendation.